I was sickened to hear and watch the events occurring in France. Part of that was for the immediate families, friends and neighbours of those so needlessly killed. Another part was the fear factor, not fear of terror or for myself but fear for how the powers that be would ratchet up the security control within their own societies by using their own biased racist fear factors in order to rationalize it to control their own populations. A wider perspective is the sick feeling of realizing that humanity in general is capable of producing such atrocities. The latter is where a large problem arises within our supposedly ‘civilized’ western world. It is not just the terrorists who are capable of atrocities against humanity; it is not just Muslim fanatics who are capable of terrorising the west; it is not the ‘other’ who is capable of demonizing and killing their opponents. It is you and I and the societies that we support that are also capable of producing terror across large swathes of the world. Just as the roots of terror lie within our own hands, so do the roots of an altruistic humanitarian outlook. Imperial overdrive for power and control. World War I was effectively a clash of these empires trying to supercede the control of the other empires for the wealth and power of the rest of the world. From that war rose the divisions of the Middle East by the British and French into either outright control or spheres of influence ranging from the Sykes-Picot secret agreement through to the League of Nations mandates. The Versailles peace, while it ‘worked’ for some, failed miserably for others, not meeting the ideals of the Wilsonian rhetoric about all nationalities deciding their own futures democratically. Arguably, the 9/11 attacks on the WTC could be labelled as a more important inflection point of history, but it is more readily seen as a culmination of blowback from actions taken by the global imperial hegemon after the collapse of the Soviet Union. That incident released powerful forces already prepared, ready to be set in motion. It was the ‘New Pearl Harbour’ desired by the authors of the Project for a New American Century (Kristol, Feith, Kagan, Wolfowiz, Woolsey,Rumsfield, Bolton, Perle) who had been around since Reagan’s tenure. It allowed the rapid passing of the Homeland Security Act, one so large it had to be by necessity ready to go for such a framework. 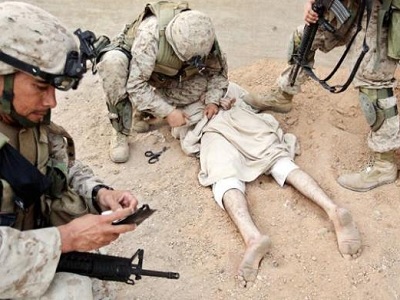 It ramped up the rogue nature of U.S. military and corporate actions globally, as their infamous ‘with us or against us’ paradigm turned everything black and white, losing all perspectives of grey or colour. Putin asked at the UN, “Do you know what you have done?” They have created an empire of chaos that serves certain sectors well but for the most part to a level of violence not witnessed for several generations, that could – if the right wing rhetoric and bluster of U.S. presidential candidates holds any meaning – could lead to the end of the world as we know it. The mujahideen “freedom fighters” of Reagan have morphed through the Taliban to al-Qaeda into the current ISIS iteration. These groups have all been supported by the U.S.: certainly the mujahideen from which the Taliban; less so al-Qaeda other than as a useful ‘other’ as an excuse to combat on a global scale yet supported by long time ally, the medieval tribal monarchy of Saudi Arabia; and as can be extrapolated from current actions against ISIS who have proven to be a convenient destabilizer against Assad, receiving U.S. military aid indirectly through Turkey, Saudi Arabia and other partners. As for France, it has been a willing partner in most if not all of these imperial endeavours. Asymmetric warfare has brought those endeavours to the ‘homeland’. 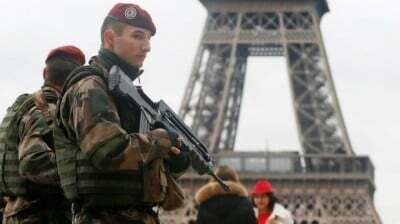 France could have imposed martial law and locked the country down as more than likely would happen in the U.S. if a similar incident had occurred. In Canada the response has been measured and compassionate, a decided change from what would have happened if Harper was still in power and able to ramp up the terrorist fear factor. Fortunately, humanity also carries within itself an altruistic caring capacity towards others. What needs to be recognized is that we are all complicit partly through the acceptance of our lifestyles and what it is truly based on. As individuals sometimes not much can be achieved, but it becomes an individual responsibility to question authority, to question the raison d’etre of our moral judgements, and to be prepared to do our own search for the truth, however painful that truth may be to predetermined ideologies.